There is no substitute for experience. We have over 50 years of combined experience in the same Bethesda location. Welcome to the Bethesda Orthodontic Office of Drs. John & Bob Gillespie! We would like to welcome you to our office and thank you for giving us the opportunity to be of service to you. We will be working not only to carry out your orthodontic treatment, but also to ensure a mutually rewarding and pleasant relationship. Your health, comfort, and smile are our primary concerns. We realize that for most people, orthodontic treatment represents a new experience, so please feel free to ask questions at any time; we will be more than happy to answer them. Once again, thank you for giving us the opportunity to be of service to you. Like you, we are also looking forward to seeing the final results. "Your orthodontic office is such a happy place. I always leave in a better mood than when I arrived." "What’s not to like? Great people, great results, great care, timely and efficient service... great Bethesda orthodontic practice!" "Dear Drs. Gillespie: I had a great experience and I will be back if I decide to do my lower teeth, as well. Your office is extremely friendly, knowledgeable and timely, and I can’t tell you how much I appreciate never having to wait." 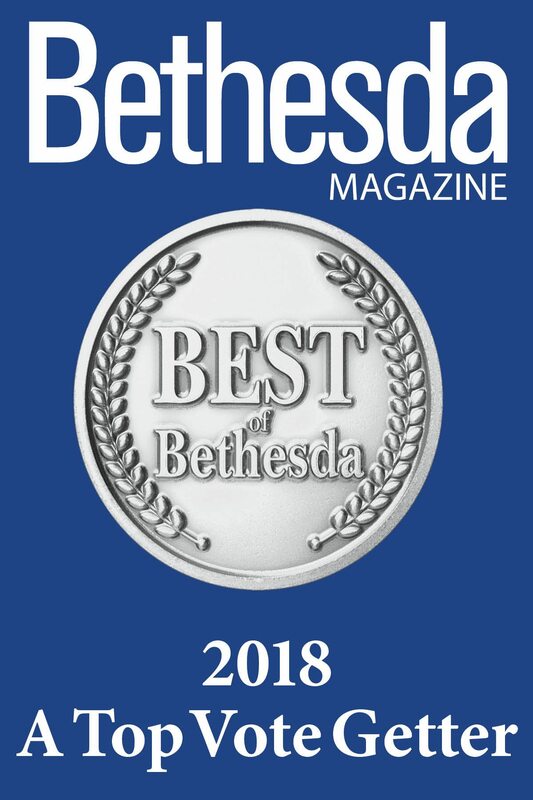 Our Bethesda orthodontics practice is unique not for what we have become, but for what we have remained, a family practice dedicated to providing you with the highest standard of orthodontic care. Everyone in our office is polite, warm and friendly, the office is always immaculate and every patient is seen on time, every time. We do not require you to sign-in when you arrive for your appointment. We know our patients by name, including our new patients… they’re the ones we have not yet met. We do not believe in telephone hold button and we will not subject you to a recorded self-promotion before you speak to one of our knowledgeable, friendly staff members. We do not double-book or over-book appointments. In fact, we schedule extra time at every appointment for the inevitable, or to visit for a few minutes. If you have questions or concerns, you are always welcome to call during business hours and speak directly with one of your doctors. They will often take your call immediately, or you can count on a return call within a few minutes… not hours, or days, or never. After-hour emergency calls will be returned as early as 7:00 AM the next business day. We find most patients appreciate the early opportunity to plan their day before leaving for work or school. On weekends, we will call you back at a more reasonable hour the next morning. We will not place your child (age 7 to 9) in a expander, or retainer, or some other early treatment appliance when you happen to visit for an initial examination. Rather, we will treat your child as if he/she were our child, and make treatment recommendations when the time is right (i.e., when the patient is sufficiently mature, the dentition is sufficiently developed, and the need for treatment is evident). Not all young children require early intervention or an expander at age 7 to 9, just as not all children require allergy or asthma treatment. Whether you are looking for an orthodontist/braces in Bethesda, Potomac, Chevy Chase or Rockville or any of the other areas so convenient to our Bethesda orthodontics location, we are dedicated solely to providing you and your family with excellent treatment and a beautiful result. In short, we will treat you with respect and professionalism, and we are here for you… not vice versa. Welcome, again, to our Bethesda orthodontic office! Disclaimer: We are not affiliated with Bethesda Orthodontics, or any other Bethesda orthodontics practice.